Your everything-included ticket to that radiant, “just left the spa” feeling – every single day! January 2016 began like so many other years for you: with the resolution that THIS year, you’d finally start looking after yourself. It’s not that you’re a total health slob right now, of course. You work out when you have time. You try to stay hydrated. And you kinda-sorta-mostly eat healthy (except when you don’t). You’re drowning in a deluge of conflicting information about how, exactly, you’re supposed to go about doing it. One celebrity doctor says you need to go Paleo… the next insists you eat vegan. Experts shill an endless stream of (obscenely expensive) miracle ingredients. You’re bloated. You’re exhausted. You’re stuck. You’re paralyzed because it’s too complicated to organize a plan. You aren’t sure what to eat because it’s too confusing. You sit down to write your shopping list, and your head hurts. You’re super busy so figuring out a plan is extremely overwhelming. Plus there’s so much out there… Google can be your best friend but with nutrition, it’s so confusing with the many diets and quick fixes. 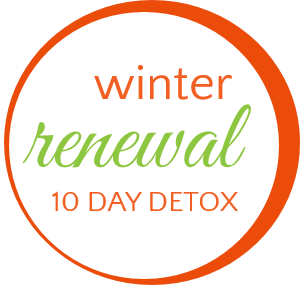 Join Winter Renewal and you’ll have recipes, meal plans and support to get you on track to a healthy, glowing you! You’ve already tried the quick fix diets, pills, weight loss programs that cost a fortune. They just don’t work for you and you’ve never even used the DVDs you bought! You want to learn to eat healthy, quick, and easy meals naturally – for good. You’re sick of feeling tired, heavy and unhealthy; but nothing you try ever lasts. There’s just one problem. You’re drowning in a deluge of conflicting information about how, exactly, you’re supposed to go about doing it. One celebrity doctor says you need to go Paleo… the next insists you eat vegan. Experts shill an endless stream of (obscenely expensive) miracle ingredients. Every second magazine cover hawks a “Drop-a-dress-size-in-7-days” diet plan. 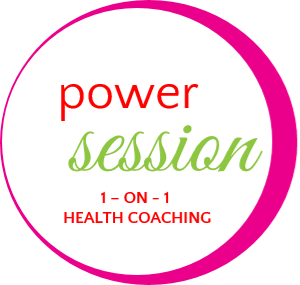 During a Power Session, I will be able to pinpoint exactly where inconsistencies lie in your diet and lifestyle, tweak, and develop an action plan for you. We will put together a game plan based on your specific goals PLUS you will receive take-aways that you can implement immediately in your life. Whether you’re inspired to do a juice cleanse or add some juicy benefits to your already healthy habits, juice packs are right for you. 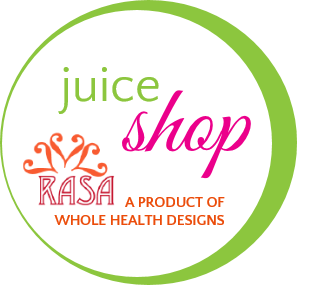 We provide cold-pressed, nutritious juices to clients in the Baltimore-Annapolis, MD area. Juice Packs include four, 16 ounce bottles. You choose the date you want to start your juice cleanse. Decide whether you would like to pick up your juices or have them delivered. Delivery fees vary depending on your location and juice purchase. Just have a cooler ready for your pick up or delivery. 21 Days of Healthy Meal Plans, Recipes, Shopping Lists PLUS workouts! You are doing all you can to be healthy, BUT something is off. 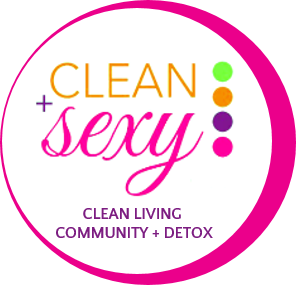 Eat Clean 21 FIT is your ticket to the body reboot you crave. 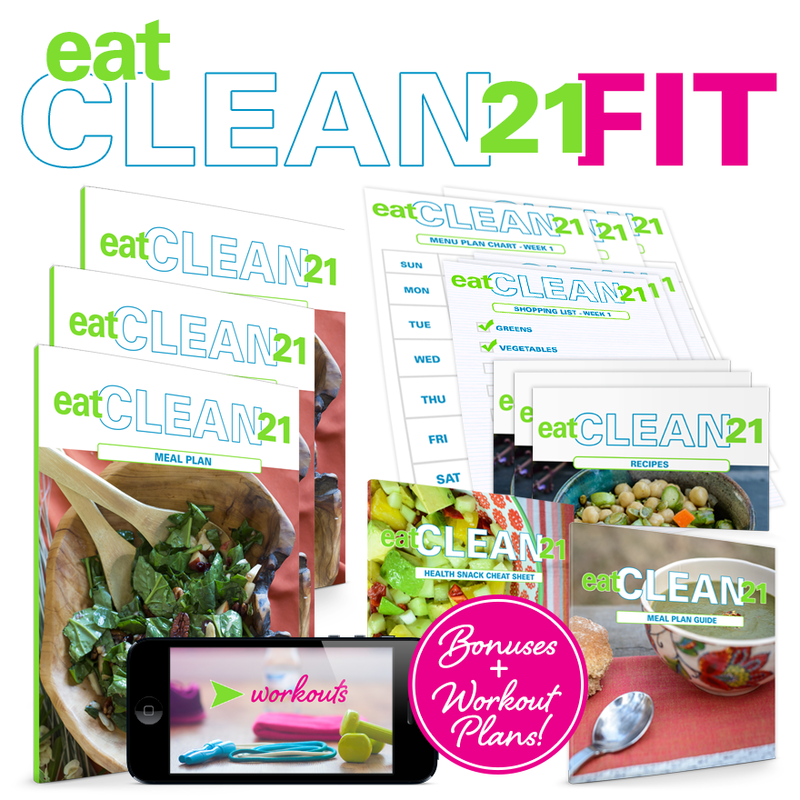 Eat Clean 21 FIT is a practical way to eat healthy food consistently with spelled-out, detailed menu plans, easy and quick recipes, and shopping lists for 21 days. Eat Clean 21 FIT is a challenge to lose weight and increase energy by cleansing the body OR a guide to simply use the menu plans by mixing and matching, tweaking and working them into your life. Tired of resorting to last minute takeout? Making the same old boring meals night after night? Racking your brain with meal planning? It came to a point when I just didn’t know what to make for dinner anymore or even how to be creative with lunches so I didn’t get bored. Fed up with always being unprepared (which lead to chaos in the household as well as in my life), I developed a system that changed my life. My family and I are now healthier, happier, and I don’t have that guilty mom feeling. I felt horrible when my kids ate crap food so I decided to get a plan. I developed Kickin’ It Clean and haven’t looked back since. 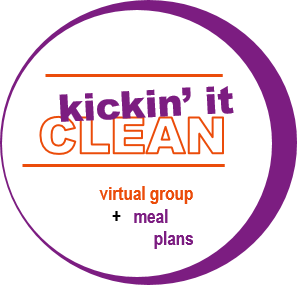 Kickin’ It Clean is a practical program that is great for everyone, which includes those with specialty diets (i.e. gluten-free, dairy-free, diabetic, and vegetarian/vegan) and allergies. Kickin’ It Clean loves everyone!